Good Morning Morningside’s newest segment takes Marta down the road less travelled, and she’s taking Delmer along for the ride. 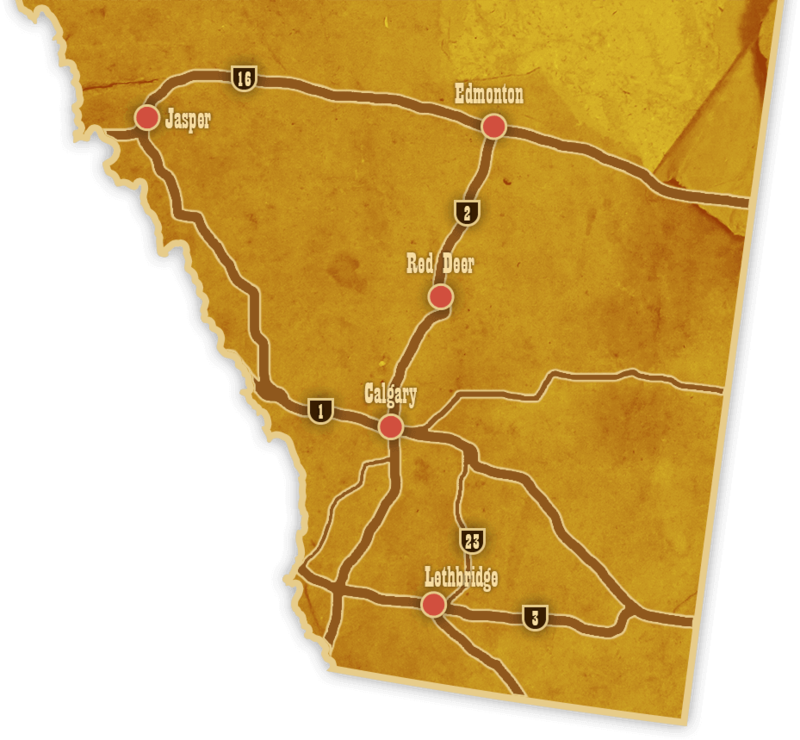 Through prairies and mountains, they explore small towns and big tourism hotspots. Follow their adventures below! In the â€˜Small Town with a Big Heartâ€™ we visited the world-famous Stawnichyâ€™s Meat Processing Plant, spoke with manager Kevin, got a tour from Ken and made cabbage rolls with Stefania! Also, Delmer bought everything in the store, …mmmmmmm beef jerky! East of Edmonton on Highway 16, Mundare celebrates its Ukrainian roots and is home to warm and welcoming Albertans including those who work for family-run Stawnichyâ€™s Meat Processing. 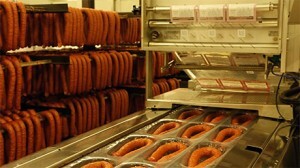 For over half a century, Stawnichyâ€™s has earned a worldwide reputation for its world-famous Ukrainian Home-Made Style Sausage (plus over 80 other products). 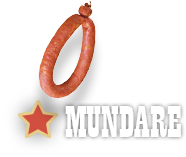 Be sure to have your picture taken next to the worldâ€™s largest sausage replica, 12.8 metres high and weighing over 6 tons, built by the Stawnichy family and a popular attraction to those visiting Mundare. Park Interpreter Lauren introduced us to the bison herds of Elk Island, but I called them buffalo because us Indians know the real name for things donâ€™t matter. Also, Delmer for sure didnâ€™t take that skull out of the park. 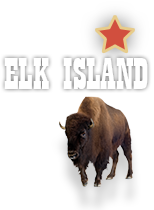 This island of conservation, Elk Island National Park, is located 35 km east of Edmonton along the Yellowhead Highway. 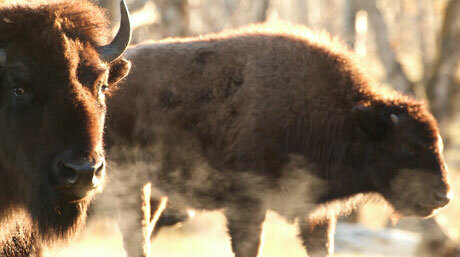 As Travel Alberta boasts: â€œCome to Elk Island â€“ youâ€™ll hear the lion-like roars of the bull bison in summer and the high-pitched whistling of rutting elk in the fall.â€™ Stop by 365 days a year for the hiking trails and family friendly activities and get up close and personal with the parkâ€™s impressive herd of purebred Plain Bison â€“ up to 430 park-wide. 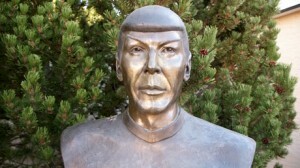 We beamed into the Vulcan Tourism Centre in the town known as the â€˜Star Trek Capital of Canadaâ€™ and got a tour from Devan. Also, Delmerâ€™s hand is just a bit smaller than Leonard Nimoyâ€™s, but size doesnâ€™t matter. Every town in Canada is special, but no one in the nation has a space themed tourism station that looks like a landed spaceship. The Trek Station opened in 1998 and thousands of people from all over the world have now visited this unique attraction, sharing their enthusiasm and passion for one of the most enduring stories in entertainment. Visit the Trekcetera Museum where you can pose with authentic, original costumes, props, and set pieces used in Star the Trek the TV series and movies. 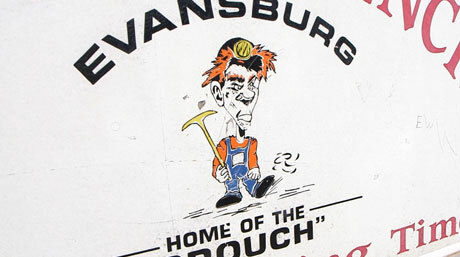 We dug deep in this episode as Steven and Ron led us into the dark of the Bellevue Underground Mine and back to 1900s coal mining. Also, Delmer touched my bum when the lights were out. D&M suit up with hard hats and lights as they go back to early 1900s coal mining, on the edge of the 240 km. of tunnels that comprise the Bellevue Underground Mine. 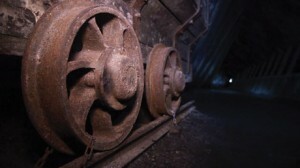 Itâ€™s the only museum-based authentic underground coal mine tourism destination in Western Canada. 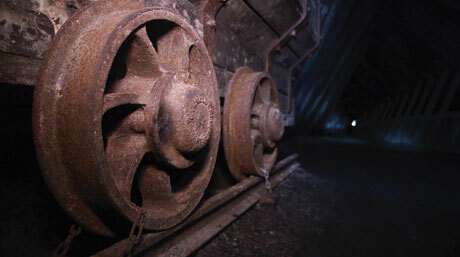 The mine opened in December 1903 and closed in 1961, producing over 13,000,000 tons of coal over time. An explosion in 1910 killed 31 men, and the exhibit shows the difficult life the miners lived far below the surface. 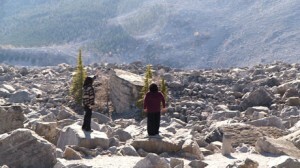 We travelled to the mountains of Crowsnest Pass to visit with Myriah of the Frank Slide Interpretive Centre to find out more about Canadaâ€™s deadliest rockslide. Also, Delmer is still really excited about his waterslide idea. Located 1.5 km. off Highway #3 in the Municipality of Crowsnest Pass, the Frank Slide Interpretive Centre brings history alive as visitors experience what it was like to be in the coal mining town of Frank before, during, and after the infamous Frank Slide of 1903 — Canadaâ€™s deadliest rockslide. At four in the morning on April 29th, 1903 an avalanche of 90 million tons tumbled down Turtle Mountain, trapping 17 miners in the coal mine and smothering at least 70 at the mountain base. â€˜The Mountain that Movesâ€™ is now a popular tourist destination highlighting stories of the survivors and those that perished. We wandered the very friendly town of Evansburg forever, looking for the â€˜Official Town Grouchâ€™, but when we finally found Jennifer we wished we hadnâ€™t. So grouchy! Also, Delmer needed a sandwich AND a nap after this interview. The picturesque town of Evansburg is just west of Edmonton on the Yellowhead and offers all the scenic attractions of the Pembina River, but is also famous for being Canadaâ€™s â€˜Home of the Grouch.â€™ Every August, as part of the communityâ€™s Pembina Valley Daze Festival, the community chooses the reigning Town Grouch. The tradition began in 1961 when artist John Lauer designed a population sign with the words: â€˜603 people, 29 dogs, 41 cats, and 1 grouch.â€™ Everyone would speculate who that was until 1979 when the Council determined that a grouch would be elected by the people every year with real roles and responsibilities.